We all have a basic idea about what solar energy is and why it is being increasingly acknowledged as the best source of conventional energy available. We know about it because we are aware of the fact that this type of energy if properly utilized will be very beneficial for the human race. But, have we ever thought what effect does the use of solar energy have on the environment as a whole? The modern society is extremely dependent of using vast amounts of energy to heat and cool their homes and businesses, and to provide electricity. Much of this energy in the past has come from the combustion of fossil fuels, such as coal, oil and natural gas. But, these resources are not endless, and that burning them to produce energy releases gases and airborne particles. 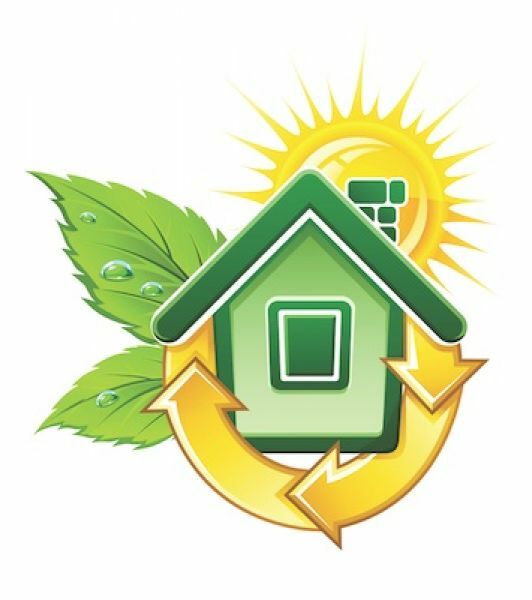 This has led to the birth of a new movement called “Green energy” which works towards producing energy from renewable sources such as solar energy. The fact that solar energy is available in plenty and free and does not belong to anybody makes it one of the most important among all the conventional sources of energy. The most important thing about the use of solar power is that it produces its greatest output when the demand spikes. Energy usage increases during summers due to use of air conditioners. This is when that same solar energy that warms the earth can be captured and used to power these devices! However, at this point, solar power accounts for only around 1 percent of electricity generation. It will take years of concentrated effort by the government as well as the private investors to properly make use of the unexplored potential of solar power. As inhabitants of Mother Earth, we need to be well aware of the positive as well as the negative effects of solar energy on the environment. Solar energy has no effect on the climate. As no combustion takes place in solar energy systems, this leads to no risk of greenhouse effect. Unlike during fossil fuel power generation, solar power produces very less emissions of air pollutants such as sulphur dioxide, nitrogen oxides, carbon monoxide, volatile organic compounds, and the most important greenhouse gas carbon dioxide. The construction and operation of solar power generating plants create both direct and indirect employment and additional income in places where the development occurs. Solar Energy does not contribute to global warming, acid rain or smog. This is why solar power contributes to the decrease of harmful greenhouse gas emissions actively. Less pollution in the atmosphere means cleaner air for us to breathe, therefore increasing our life expectancy. Solar energy produces no waste and no pollution. This limits the impact on climate change and global warming. Solar Power is Quiet! They convert sun light into electricity without making a sound. This ensures peace of mind. Some coal is obtained by “strip mining,” where a large surface area of ground is stripped of vegetation. This may lead to flooding, especially when it is done on mountains. But, solar energy has no such effect on the landscape unlike fossil fuels. Nuclear energy is considered to be a source of “Green energy” along with solar energy. Also, it proves to be an alternative of burning fossil fuels. However, nuclear waste is produced as a by-product, which is dangerous for the environment as well as the mankind. But in case of solar energy, no waste products are produced which proves to be an added benefit. 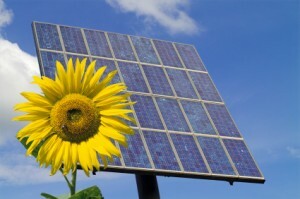 Solar Energy helps to reduce carbon footprint as it is a clean energy alternative. Though solar energy has many benefits one cannot blindly ignore the concerns which arise about the potential negative impacts from the use of this energy. Even after many years of research and development, solar energy technology remains expensive. The cost of producing electricity from solar panels is quadruple that of coal electricity production! Huge solar arrays in the desert take up a lot of open land, which affects flora and fauna in the area. Solar energy requires power lines covering long distances and this requires extensive construction. Local residents complain about the fact that solar energy farms are an eyesore and that it affects property values and overall quality of life. Solar power generation may interfere with existing land uses, such as grazing, animal husbandry, military uses, and minerals production. Solar facilities can impact areas which have been specially designated such as wilderness areas, areas of critical environmental concern or recreation management areas. Construction of solar facilities on land requires clearing. This results in soil compaction, potential alteration of drainage channels, increased run off and erosion. The clearing and use of land for solar power facilities can adversely affect native vegetation and wildlife in many ways such as loss of habitat, interference with rainfall and drainage. These impacts are of major concern when the species affected are classified as sensitive, rare, or threatened and endangered. Some may even argue that these solar stations devalue the aesthetic sense of the natural area. Setting up of solar plants requires silicon and produce waste products. Inappropriate handling of these materials may lead to hazardous exposure to humans and the environment. Thus, we need to be careful about the implications of the use of solar energy. After clearly understanding the effects mentioned and measuring the pros and cons qualitatively will we be able to take a well informed decision.